Photo loss can strike at any time. We highlight the best free image recovery tool to help get your precious pictures back. 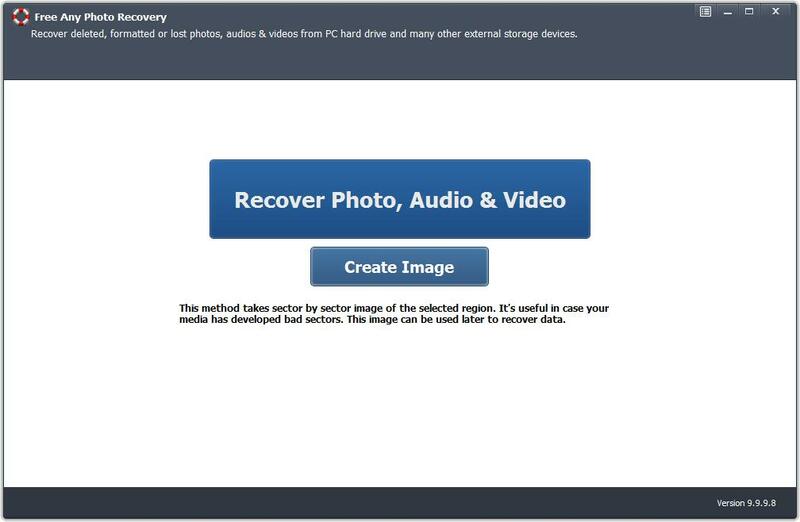 Download, install and launch Any Photo Recovery on your computer. Click "Recover Photo, Audio & Video" button or you can create image first. 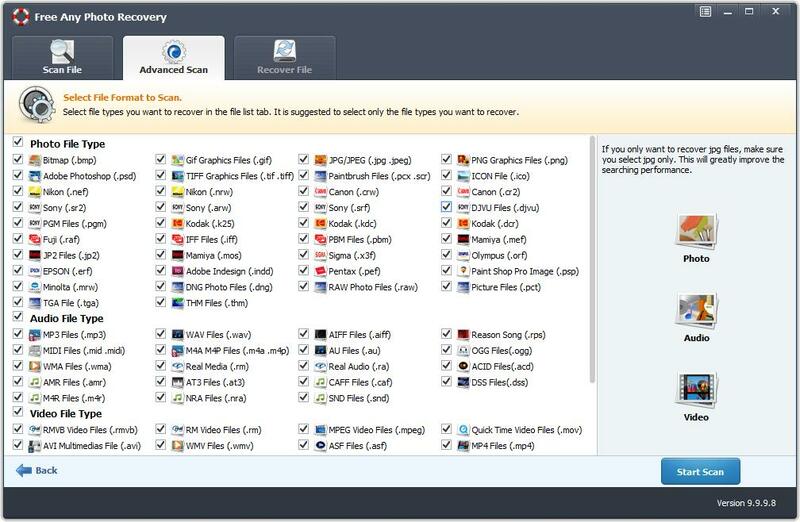 Select a storage device to scan for deleted or lost photos. You can select advanced scan mode to recover specific photo files. After the scan, you can check all recoverable images files from the scanning results. 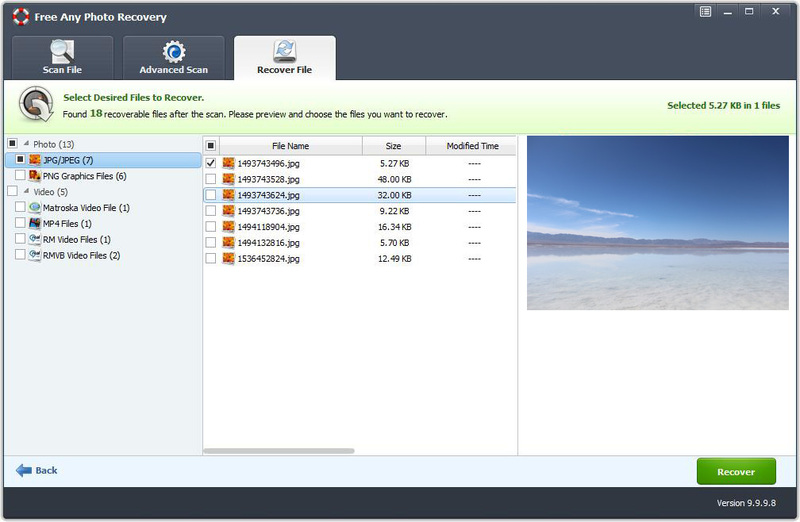 Select the recovered files you want to recover and click "Recover" button to get your deleted photos back.